There are people whose job demand so much time from them and they barely have time to do their own laundry while others find it very difficult to do some do not even know how well to do their laundry as regards the right detergent or soap to use for the laundry and that’s where laundry business come into play. Laundry/ dry cleaning business it not capital intensive, this is one business you can start from the comfort of your own home with just the right material, on this post I will share with you what you need to know and the right material and equipment to start your own Laundry and Dry cleaning business. To start and run this business efficiently you need to have a well written laundry & dry cleaning business plan and we have this business plan written by professional, this will help you with your projections and analysis, like the amount of money you intend to start with and the cost analysis, the overview of the business, who will be managing the business with you, how to make your business better than your competitors, the location and also the profit you intend to make. One thing to give utmost attention to in laundry and dry cleaning service is the convenience of your costumers, the collection and delivery of the clothes should be swift, the price should be very affordable and the quality of the clothes should also be protected. It is highly important for you to get some training if you do not have any idea on how to do laundry or dry cleaning before you spoil somebody’s clothes. Learning the skill and techniques is very important because there are different ways to dry clean or launder different clothes. You should be able to differentiate fabrics, how to wash or dry clean them. This is a very important aspect of the business, a good location for laundry and dry cleaning business must be very easy to access and situated close to the customers. In this business you location should be big enough to accommodate your equipment like your washing machine, hanging, where to iron the clothes, and all the necessary things a laundry and dry cleaning service should have. There are several ways to promote your business to attract more customers to your laundry and dry cleaning business. 1. Have marketers that move around to places like banks and neighborhood, get your business card, flyers ready. 2. Home delivery – Be ready to pick up dirty clothes and return them as soon as you are done washing them. 4. Package and brand your washed clothes properly. You costumers gets to know how serious you are with how well you package and brand the clothes you deliver to them. Our sample Laundry / Dry Cleaning Business Plan in Nigeria can be used to access bank loans, proposal writing and grant applications. The business plan was complied after a thorough feasibility study on Laundry / Dry Cleaning Business in Nigeria was done. 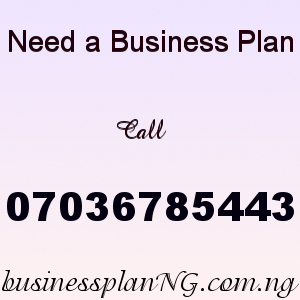 Get your Laundry / Dry Cleaning Business Plan in Nigeria for N10,000 only. After your payment has been made, send a text of your name, email address to 07036785443. Once your payment is confirmed you will get the LAUNDRY / DRY CLEANING BUSINESS PLAN IN NIGERIA / FEASIBILITY STUDY to your email.